October 18th, 2016 by Roy W. Spencer, Ph. D.
Part of the new paper’s obfuscation is a supposed stratospheric correction to the mid-tropospheric temperature channel the satellite datasets use. Of course, Christy’s comparisons between models and satellite data are always apples-to-apples, so the small influence of the stratosphere on the MT channel is included in both satellite and climate model data. The stratospheric correction really isn’t needed in the tropics, where the model-observation bias is the largest, because there is virtually no stratospheric influence on the MT channel there. Conveniently omitted from the list are the most extensive radiosonde comparisons published (Christy, J.R., R.W. Spencer and W.B Norris, 2011: The role of remote sensing in monitoring global bulk tropospheric temperatures. Int. J. Remote Sens. 32, 671-685, and references therein). This is the same kind of marginalization I have experienced in my previous research life in satellite rainfall estimation. By publishing a paper and ignoring the published work of others, they can marginalize your influence on the research community at large. They also keep people from finding information that might undermine the case they are trying to build in their paper. My testimony in Dec 2015 and Feb 2016 included all observational datasets in their latest versions at that time. Santer et al. neglected the independent datasets generated from balloon measurements. The brand new “hot” satellite dataset (NOAAv4.0) used by Santer et al. to my knowledge has no documentation. Even when we use the latest satellite datasets used by Santer, these are the results which back up my testimony. The range of model warming rate magnification versus observational datasets goes from 1.6x (NOAAv4.0) to 3.0x with median value of 2.3x for models warming faster than the observations. Range goes from 1.7 (NOAAv4.0) to 4.1 with a median value of 3.3 for the models warming faster than the observations. Therefore, the testimony of 2 Feb 2016 is corroborated by the evidence. Overall, it looks to me like Santer et al. twist themselves into a pretzel by cherry picking data, using a new hot satellite dataset that appears to be undocumented, ignores independent (radiosonde) evidence (since it does not support their desired conclusion), and still arrives at a substantial 1.7x average bias in the climate models warming rates. hope you don’t mind a basic, possibly dumb, question from a non-scientist that reads this stuff for entertainment. I understand there is little or no warming in the historical surface temp reocord for the CONUS. I thought I saw where even Hansen admits so. I recently read that central Eurasia has had 25 years of colder winter surface air temps. Seems like big chunks of the NH. And then there’s your sat stuff. So where is the warming of global warming? BTW, my reading of the history of science is that the most influential were very often marginalized. there is *some* observed warming, depending on what dataset you look at. All the datasets require corrections for known issues, but the corrections are uncertain and often controversial. In any event, the amount of observed warming is usually less than that which climate models produce. This comment has been repeatedly blocked. Temperature change for USA48, from NOAA since 1895, shows +0.97 C of warming. It’s sad to say, but in the Obama years, many have learned the government can no longer be trusted, about anything. If HRC gets elected, as the 1st amendment continues to be eviscerated, the ability to question the government will become more of a problem. My point is: your source is tainted. You gave no evidence whatsoever that this is true. You just don’t like the data because they don’t say what you want, so you reject it wholesale. Of course if it DID say what you’d like, you’d have no problem with it whatsoever. How much of that is “adjustments”? And if even a fraction of that warming from the LIA, coldest period in 10,000 years is actually real..
Great post. Been commenting on this new paper elsewhere. Did not fully understand until now how bad the stratosphere fiddle was. And this after RSS heated up the TMT in undocumented v4.0. After all that futzing, 1.7x is still a model failure of the same error magnitude as ECS in CMIP5 compared to EBM observations, 1.65 observed versus CMIP5 median 3.2. Need I remind you that UAH v6 hasn’t been documented or published either? Wrong again it has been documented here, and the paper on it has been submitted. Documented here??? Are you kidding? Blog posts aren’t scientific papers. Anyone capable of reading scientific papers knows that. I don’t know what you mean with “documented”, but traditionally “documented” does not mean anything like “published in Nature”, but rather, “written down somewhere”. I’m sure “undocumented v4.0” is actually documented as well, just not published. Don’t worry, pals will soon give some positive review comments. Anyway, the issue is not that something is documented or not, the issue is 1.7x model warming even after trying to get the curves match. 1.7x is by the way 1.3K : 2.2K. A lot. So why hasn’t this graph ever been published in any place that is peer reviewed? At this point is looks like you guys are actively avoiding that. “actively avoiding” as opposed to what, “passively avoiding”? Still with your total lack of comprehension of what peer review is for. Still, what can one really expect from a low-end fantasy journalist. How many peer reviewed papers have you authored, Andy? How many sci-fantasy stories have you written. Apart from your many feeble efforts here, that is. You still don’t know the current purpose of peer review, do you, rotten. Ignorance runs very deep .. rotten right to the core. Been in front of a congressional hearing..
That is published for all to see. Sorry it got past the Journal gate-keepers. Published, not peer reviewed. Huge difference. Keep burying your head in the sand. Peer review means (almost) nothing in climate science. Before you ask your stupid passive-aggressive straw man question, I don’t have any peer-reviewed publications. Peer review means a lot in science. It means the results aren’t obviously wrong, and it means the paper meets basic scholarly standards. Neither is true for Christy’s graph. That’s funny, since Newtonian physics and the theory of relativity aren’t the same theories. Nor do they give the same results. For some cases, you need special relativity right here on Earth. Examples: a nuclear bomb. Particle physics labs like SLAC and CERN. Without relativity, those labs would blow up. And you need even more — general relativity — to get GPS right. Strawman much? I never said they were, that’s why I listed them separately. First, happy to see that you could also cherry-pick parts of a quick comment and clarify something that most, if not all, posters here already know: That relativistic effects are relative (get it?) to special conditions here on earth. however, the key is “special” conditions. Second, yes they do give the same results under “normal” earth-scale conditions. When speed is <<<<<< c (e.g., c approaches 0, or the speed of my typing), relativity basically collapses to Newtonian physics (sorry if my jargon is not quite accurate, I'm not peer-reviewed). In climate science, all it means is that pal-reviewed JUNK gets passed the gate-keepers, and reality does not. The standards of the junk that gets passed is HORRENDOUS to say the least. RUN and HIDE, you COWARDLY CRETIN. That’s false and shows you don’t know the first thing about relativity. “Second, yes they do give the same results under normal earth-scale conditions. When speed is <<<<<< c (e.g., c approaches 0, or the speed of my typing), relativity basically collapses to Newtonian physics (sorry if my jargon is not quite accurate, I'm not peer-reviewed)." It has noting to do with "earth-scale" conditions. There are conditions on Earth where using Newtonian physics gives an incorrect answer — the obvious example is a nuclear bomb. Another is any high-energy particle accelerator in the world. And every nuclear reactor on the planet. Every smartphone that uses GPS to determine its location. All right here on Earth. Like a petulant child, DA apparently always has to get the last word in. It has everything to do with “earth scale” conditions. I love it when you defend GHE by saying “everyone knows” it’s a metaphor, or simple and convenient way of expressing something (which, by the way, I agree with in general), yet get so hair-splitting with perfectly appropriate generalizations by others. Please let me point out that Newtonian mechanics worked perfectly well for scientists to explain scientific observations for centuries since Newton. Please also let me point out your deceptive strawman references to nuclear boms, particle physics, CERN, and GPS. As I assume you are aware,none of these existed at the time of Newton, or for centuries after. As a matter of fact, quantum mechanics was developed over time to explain, at least in part, observations that scientists were starting to make that could not be explained by Newtonian mechanics. But to try to rebut my comment by pointing out that you need special (and general) relativity for special cases that exist here on earth (and that didn’t exist here on earth not that long ago) is a dishonest quibble. P.S., It wouldn’t surprise me if you dug down real deep and pointed out I spelled “bombs” wrong. Only up to a point. Astronomers knew by 1859 that the precession of Mercury’s perihelion was anomalous, and could not be accounted for by Newtonian physics. Other than this, Newtonian physics looked right only because scientists lacked the ability to create the energy needed to get to where it failed. This is a perfectly natural progression in the development of all sciences. In any case, Newtonian physics no longer suffices for all “Earth-scale” phenomena. The failure to explain blackbody radiation was a failure of Maxwell’s equations and statistical mechanics, not Newtonian physics. Same with the photoelectric effect, and of the ether hypothesis. If you reply, can the gratuitous insults. you are dreaming David. Unlike peer review in the professions, science peer review has zero performance standards. Professional standards take years to develop to help ensure any level of assurance. Successful peer review in science merely means that who ever gave a positive peer review subjectively had no objections to the material and in the cases where peer reviewers do have objections they may be subjectively ignored by the journal. is NOTHING but an entry into the climate scam journals. How would you know, Bill? Ever published a peer reviewed paper? Ever gotten comments back on a submitted paper? Let’s see you prove that science peer review “has zero performance standards.” This just makes you look ignorant. Actually, I have published. And I have gotten comments back from peer reviewers. This I have noticed: the comments were much more meaningful when the paper did not touch on climate change. One time, I absolutely refused to join my colleagues in publishing a paper with climate change implications, pointing out a weakness so glaring that the peer review process would tear it to shreds. I was so wrong. The peer reviewers endorsed the paper, and my colleagues went on to publish it without me. Unlike peer review in the professions, science peer review has zero performance standards. David standards are published or like laws they are not standards at all. Perhaps I am wrong David and you can point to some promulgated science peer review standards. If you can’t well you are just simply wrong. Peer review goes back over a hundred years. All scientists learn the standards when they are graduate students — peer review means a paper adheres to basic scholarly standards, that it meets the journal’s purpose and format, and that it isn’t obviously wrong. David as I suggested I could be wrong that no standards are published. A certified public accountant operates under dozens of volumes of promulgated standards specifying a wide variety necessary methods, practices, and disclosures. “Scholarly standards” is extremely vague and “not obviously wrong” implies you can be intentionally wrong as long as you are subtle about it. Further there is very little enforcement and almost all enforcement is via journals and the institutions benefiting from the papers. Obviously if its so brutally wrong that its an embarrassment to the journal or institution they have recourse. . . .I am not aware of anyone else having recourse though. As a result the journals and institutions ignore key issues related to unsupported statements and the lack of inclusive data to even replicate the work. As a result science is served poorly by the current status of peer review. Is it better than nothing? Undoubtedly sometimes it is. You could follow your own advice. From memory, the warmista actively prevent publication of any contrary evidence … appel ignores the Climategate emails. Maybe you need to calm down David. 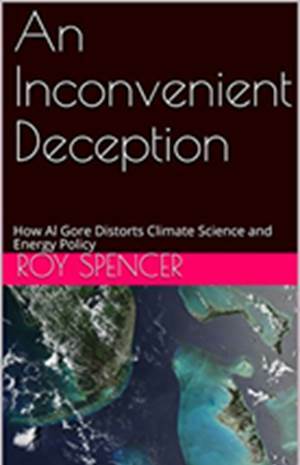 Even the most avid of disaster bead rubbing scientists who published the report Roy is commenting on is saying that the models are overpredicting warming by 170%. Maybe you ought to let that sink in some before going off? The range of error based upon dataset is 170% to 414% which is not a wide range (244%) when you consider the 300% range of uncertainty given by the IPCC for a modeled warming rate. What is most disturbing about the validation of the models is there is near zero bracketing of observations. What that statistically means is all the models likely have a common error. From which its really easy to conclude that something that is considered as “settled science” within the modeling group is in fact not settled. I realize this is a tough message for a bunch of computer programmers to absorb but what it means is its time to go back to the laboratory. I learned almost 40 years ago that it is not enough to trap energy. Trapping energy is easy. Getting something out of it though requires knowing what happens to it after you trap it. Fact is its harder to hold onto than a handful of slimy eels. My father, as a young man, had a “trap line.” What he trapped did not get away. Water vapor, and some other gases might better be said to “redirect” the radiation that encounters them. Folks ought to use the phrase ‘radiatively active gases’ instead of greenhouse gases because real Greenhouses introduce CO2 as a needed component of plant growth — not to heat the enclosed space. The first part of “carbohydrate” seems to be hard for some folks. Everyone understands that a “greenhouse gas” is based on a metaphor. Everyone knows not to take it literally. Yes , but the so-called climate scientist seem unable to use the right description. If they did.. the so-called “Greenhouse theory” would not exist. As it is.. it is just a FANTASY… your stock in trade. That’s not what the paper says, Bill. Read closer. The 5AR is already out of data, because of new data from UAH v6, Karl et al, etc. Yes I’m aware of that one David, it shows the same thing as the AR5 one with the addition of the El Nino. Surely you’re not trying to suggest the El Nino natural weather event validates the failed climate models, are you? Surely you’re not trying to suggest the predominant La Nina natural weather events of the prior 15 years refutes the climate models, are you? And those La Nina will now become more prevalent..
Watch the already massive divergence between models and reality take on even more hilarious proportions. What I AM saying is the trend is flat for the past 20 yrs compared to the climate model projections, and one El Nino doesnt validate them. The temperature record since 1979 shows more hiatus than warming. The massive divergence that is temporarily hidden by a natural, short term weather event (i.e. El Nino). To try to claim the latest El Nino was anything other than short term is disingenuous at best, dishonest/delusional at worst. Magoo: THere are natural fluctuations up, and there are natural fluctuations down. That’s why scientists (and the WMO) recommend looking at trends of 30 years or more. You nailed the rotten appell in one short sentence. Oh dear.. you really haven’t been keeping up with anything, have you. "Oh dear.. you really havent been keeping up with anything, have you." Obviously you don't have any evidence for your claim. Typical of the nonscience Andy is known for. Again — both the surface temperatures and LT temperatures have changed since the 5AR. Do try to catch up DA..
you are making a fool of yourself ,… yet again. I’m not here to educate you DA.. There is way too much of your anti-knowledge to break through before you can start to learn. Andy, every comment you make, her or elsewhere, betrays how little you know. So you respond with vapid, dull insults. You are way out of your league, Andy. You know it too. Your lack of any proper science or mathematic education is open for everyone to see. Again Andy, you’re too juvenile to deserve a reply. Low end fantasy journalism.. your stock in trade. Stick to it and leave science for others. You can have the last word, Andy. Go for it. Good that you agree to leave the science to others. You know your proper place is in a back pages of a sci-fantasy rag. What are you so afraid of? Is your little fantasy world starting to crumble around you? I wonder if you’ve ever read some of the earlier papers that are cited as the basis of the GHE and global warming hypothesis. Tyndall’s 1859 study of the effect of thermal radiation (quaintly referred to as “heat rays” in the mid-19th century) springs to mind. Guess what. Published but not peer-reviewed. Does that mean that one of the foundational papers of the GW hypothesis should be ignored? Bonus question 1. In that paper, what scientific hypothesis that was commonly accepted at the time that he published his paper but that was later proven to be false did he refer to to explain his results? Bonus question 2. Since he explained his results using a commonly accepted but false theory at that time (and in addition, since it wasn’t peer-reviewed), does that negate the validity of his paper? Wrong. In those days, papers were peer reviewed by the editors of journals, who were always experts, or by colleagues they sent the paper to, asking for their opinion. Oh, and refer to a video created in 2009 to answer a question about a paper published in 1859. Nice diversion. You have to understand, leftists, warmists, progressives, socialists – all – use current standards to judge historical figures and actions. So in DA’s mind, using 2009 standards or information is perfectly acceptable. Hilarious. This is a trivial demonstration. Do you think the molecular properties of CO2 have changed since 2009? Or the properties of lasers? What I AM saying is the trend is flat for the past 20 yrs compared to the climate model projections, and one El Nino doesn’t validate them. The temperature record since 1979 shows more ‘hiatus’ than warming. 20-yr trend for GISS LOTI, Sept1996-Sept2016: +0.18 C/decade. Look David, if you’re whole argument is based on a single El Nino that is temporarily skewering the temperature record and is currently in the process of winding down, then you’re scraping the bottom of the barrel and reek of desperation. Does a La Nina prove global cooling or a long term negative temperature trend? No? And, again, 20-years is too short a time interval to make deductations about climate change. Why.. because the top climate scammers said so ??? If we take top of cycle to top of cycle in UNADJUSTED data. We could look at 1940’s either REAL data from USA or Iceland. It looks like in the raw un-maladjusted data, there has been basically ZERO warming since the 1940’s. Unless of course you want to use the DELIBERATELY ADJUSTED NOAA or Hadley based junk. We could look the Japanese surface data, seemingly unaffected by too much UHI. Those you want to argue..
Do your own homework !! Right across the El Nino.. thanks for proving Magoo’s point. All you can ever do to show warming is use those El Ninos..
…. because that’s all there is. !! You whine as much as Donald Trump. I’ve said here multiple times that it’s recommended to look at 30-yr trends or more. The UAH LT record is almost 38 years long. It’s trend over that time is +0.12 C/dec, easily statistically significant. What do you want to whine about now? Again, your PATHETIC attempt at using the El Nino to create a trend. And I don’t give a rats what you say about 30 year trends. We are in a semi-chaotic cyclic system and because one of the main cycles is about 60 years long, 30 years is probably the very worse period to use. But your very limited mathematical knowledge wouldn’t point that out to you, would it. What you should do is look at what is happening between chaotic events (El Ninos in this case)..
.. But that is totally and absolutely beyond anything you will ever be capable of. You do know that the 30 year period was recommended by someone who KNEW there was a 60ish year cycle. One of the AGW propaganda elite. At the time it was very advantageous to the propaganda story.. now we are stuck with it. But as the cycle has just started to turn.. it will soon come back to bite them.. hard. 60-yr trend of NOAA global monthly = +0.14 C/decade. There is minimal to NONE CO2 forcing. You live in an alternate FANTASY world. As you KEEP PROVING by ALWAYS going across the El Nino step change..
….. the ONLY warming has come from NON-CO2 ocean and cyclic effects. You have 2 task which you are COWARDLY RUNNING and HIDING from. 2. Show us pics of birds killed by coal fired power stations. RUN and HIDE.. or stick to your low-level fantasy garbage. Pity they didn’t take their study a year and a half longer ..
or maybe they did, seeing as it was published in 2015..
Also funny that they say ten years is significant, but the 2001- 2015 plateau of ZERO WARMING in temperatures wasn’t. Odd that these tiny measured increases in down radiation just happen to coincide with a period of ZERO WARMING , isn’t it. Now prove that this feeble 0.2W/m actually caused any warming, when there wasn’t any warming.. that will be fun to watch. We live in an atmosphere where convection rules and man’s beneficial contribution to global atmospheric CO2 will continue to increase for many, many years to come. Not much trace there of any increasing atmospheric retardation of outgoing surface radiative heat, is there? Rather the opposite the outgoing radiation increased.. OOPS !! Yep two basically zero warming segments with a step between and a spike at the end.. yet to be determined what happens next. The trend of UAH LT v6beta5 since Jan 2000 is +0.10 C/decade. The ability of most commenters here to do basic calculations is abysmal. Yes we have notice your incompetence, and manic cherry picking rather than comprehension of what is actually going on. … and yes, we all know why they want to use 30 years starting around 1979. Andy, you couldn’t calculate your way of out a paper bag. I don’t. 30 years ago was — duh — 1986. Poor David.. your wet paper bag is awaiting you. Do try to understand why 30 years is such a stupid length of time to use. Except that your lack of basic mathematical comprehension doesn’t allow you to understand, does it. Who do you think you’re kidding? I’m far more competent in mathematics than you are. Now you are REALLY fooling yourself. You really have ZERO idea, clown. Did you even get out of high school ? Why do you need to write that? Last warning: if you can’t control your emotions, you’ll get no further replies. “Did you even get out of high school ? Because you seem to HUGE gaps in you science and mathematical comprehension. Maybe you just majored in creative writing ?? DA, did you ever find those pictures of the surface stations in the yellow circle, to show us how good they are..
Or are you going to RUN and HIDE again. I have no idea what you’re trying to get at, and as usual you can’t explain it either. As I said.. RUN and HIDE.. like you did on previous threads. Since you can’t begin to explain yourself, I’ll ignore all of this. Since you can’t even begin to explain your claim — I assume you just copied it from somewhere — I’ll ignore this. Again, can have the last word. Was clearly stated earlier.. you choose to ignore. You know what the task is now, rotten-appell.. But you still run and hide.. won’t you. And another task from another blog. Find us some pictures of birds killed by coal fired power stations. Late to the post, couple comments above, if you’d like to respond. You never answered my original question. Are your whole world-view and all of your foundational beliefs crumbling about your head and shoulders because of this post? Is this post causing so much inner turmoil that you feel you have to refute everything for your inner peace? I’m just curious, If you disagree or think he’s wrong, why don’t you just address his points in the post? But if Dr. Spencer’s posts cause you so much discord and you can’t, or won’t, address his points and all you can argue is “Peer Review, Peer Review” , why do you even bother to come here and comment? David responds how he wishes, yet demands others respond correctly to his requests. He’s a bit off, but assuredly paid well by the progressives, possibly the DNC. Surely nobody is stupid enough to pay the rotten apple for anything but sci-fantasy !! That’s what he writes here. Phil R: Again, what original question? If you have a question to ask me, them ask me instead of just alluding to something. the poor guy is getting worse by the minute. Not only the frequency but also the volume of the rants is increasing. Surely somebody (his mother hopefully) can give his medicine and put him to bed? Otherwise things could get messy. La Nina will contribute to the harsh winter in the northern hemisphere. Dr no-science cannot ever comprehend. David Appell, Mike Mann wrote in his book about some long term natural phenomenon that counteracted the Medieval Warm Period in the tropics, suggesting a Pacific Thermostat Hypothesis. This long term negative feedback would mean less global warming than what the models predict. times 1 year, 1 sigma, of future sunspot cycles SC28 to SC36 are tabulated. The increase in torque of the sun in the phase of the cycle 25 may mean low solar activity. “The increase in the talk of the son in the 25km cycle race means he is less active”. In a default Keplerian model, the angular momentum of a planet, with respect to the center of its trajectory, is constant. The planet moves faster, when near to center, and slower, when far, which conserves the angular momentum. Solar farms CAUSING global warming !! Well.. not global.. but if the alarmista can call local/regional UHI warming feeding into the global temp.. so can I. It worries me that in perhaps 20 years’ time, it will be evident to all that the warming has been substantially less than that predicted by the models. Then the warmistas will say “Look how our cuts to emissions have saved the planet. We must continue them, now that we have proof of their efficacy and necessity.” Perpetual taxation of the fourth kind? It’s scary what lies in store if Clinton becomes president. He counterpart in Canada, born with a silver spoon in his mouth, and completely out of touch with reality, is already talking about putting a price on carbon. He has threatened provincial governments that if they don’t come up with their own prices he will impose one. His environmental minister is an uber-alarmist who has made it a religion. British Colombia has had a tax on carbon for many years now. It is revenue neutral. And it is reducing their CO2 emissions. “Mary Polak, British Columbias Minister of Environment. She says the carbon tax has actually been good for the economy. “POLAK: We have one of the lowest personal income tax rates of any jurisdiction in North America, and weve been able to maintain that similarly with our business taxes, so all of those things work in concert. It has been the carbon tax largely that has enabled us to do that. Disingenuous as always, fantasy child..
What is BC Hydro percentage? That claim will only work if a slowdown in the measured atmospheric CO2 concentration trend can be demonstrated, otherwise significantly less warming than predicted will simply expose Climate Change Inc. as a gigantic fraud, consequences no doubt following. 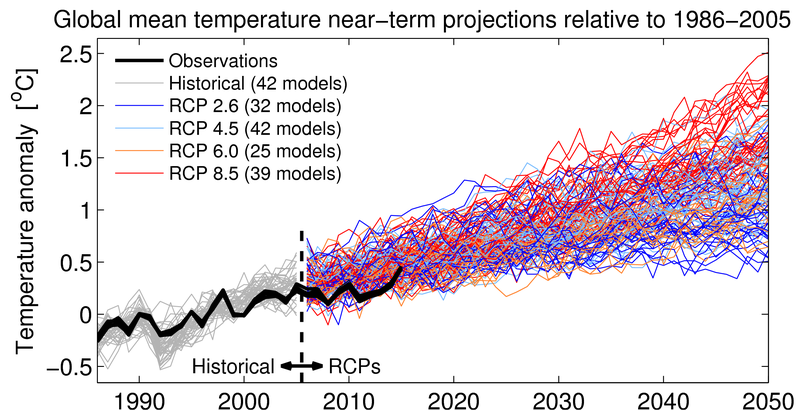 CO2 (et al) projections include four RCPs. None will come true exactly. But currently we are above RCP8.5. None will come true !…. ZERO sign of any CO2 warming in temperature, sea level..
or ANY in data what-so-ever. Chris Hanley, my fear expressed here is not about what is true. It is about what will be said and believed by many regardless of truth, for those drive government action. Dr. John Christys congressional testimonies on 8 Dec 2015 and 2 Feb 2016 in which he stated that climate models over-forecast climate warming by a factor of 2.5 to 3. Has any of you ever written about how this graph was made? And if it doesn’t included actual forcings, it is worthless. You know that Roy. As nobody has even proposed a falsifiable hypothesis including “forcings”, I surmise you are just trying on the usual GHE nonsense of hoping nobody will ask you to define a “forcing” in scientific terms. No GHE. Not even a falsifiable hypothesis proposing such a bizarre notion. Heating a planet after four and a half billion years of cooling, by making sure there is less CO2 in the atmosphere than before? No wonder nobody with any sense at all would find it impossible to propose heating by using less of the stuff supposed to provide the heat! Or is it more than yesterday, but less than before? What’s the falsifiable hypothesis? It’s defined in every climate science textbook I know of. Look in your favorite. Then explain why the planet is warmer than the Sun can make it. David Appel..”Then explain why the planet is warmer than the Sun can make it”. It’s actually a lot cooler than the Sun can make it. According to Lindzen, if there were no cooling convection currents the surface would heat to a temperature over 70C on average. It’s not radiation that cools the surface, it’s convection and conduction. A rotating planet with Earth’s albedo and no atmosphere has an average surface temperature of 255 K.
You can’t include convection without including other atmospheric constituents, like greenhouse gases. It’s either all or nothing. Convection (and conduction) RULES in the lower atmosphere. Yep its all or nothing.. so why to you only yap about radiation and think that back radiation, mostly from H2O, can only have anything but a very transient warming effect. Easily dissipated by convective and conductive transfers. And remember, the ONLY reason clouds form is because they have already transferred a whole heap of energy to cloud level. Sorry rotten-appell… but the main function of the atmosphere is COOLING, not warming, and because the whole is balanced by the temp pressure gradient, CO2 acts as nothing but another cooling conduit. Mike Flynn “I surmise you are just trying on the usual GHE nonsense of hoping nobody will ask you to define a forcing in scientific terms”. A forcing is a term from differential equation theory and with relation to climate science it comes from the climate models that are programmed with differential equations. There is no such as a forcing in the real world and using it as such is incorrect. The word forcing comes from a forcing function. With a differential equation function, you can apply a forcing function to it, for example a unit impulse function, that forces a certain response. With climate models, they have incorrectly presumed that a forcing function representing ACO2 will affect the output of the model, which is a giant differential equation. It’s a presumption based on what they think should happen and the data has proved them wrong. Convection and conduction rules in the lower atmosphere. CO2 is just another conduit to cooling the atmosphere. The release time in the lower atmosphere is many magnitudes greater than the collision time. Nearly all the IFR absorbed by CO2 is immediately passed to other molecules and dealt with by convection. Your little links up above PROVE that. Very little is radiated downwards. Do you dare take a simple experiment to prove that convection rules? Looking at weather/winds up in Arctic. Still some El Nino stuff hanging about, cant last much longer Only place showing any major remnants is over mid northern Russia. Temps starting to drop. Strong winds that were compressing the central sea ice above the Canadian Islands have subsided. Barent, Kara, Chukchi, anything above mid to east Siberia may take a bit longer, but when it starts will be strong growth. Still no falsifiable hypothesis relating to CO2’s alleged planet heating properties. Doesn’t exist. Maybe you’ve confused it with the Scarlet Pimpernel – sought everywhere, but miraculously always somewhere else! Just as a matter of interest, the Moon shows how hot and cold the surface becomes in the absence of an atmosphere. Tyndall pointed this out over a hundred years ago. No GHE. No CO2 heating. If a climate science textbook differs from real science texts, I’ll believe the real science text. If it doesn’t, what was the point of writing it? More CO2 – good. No CO2 – very, very, bad! from that source, here is a falsifiable hypothesis. That is half of the greenhouse effect. I will allow you to research the other half. Sorry. No cigar. Photons of lower frequency have less energy than those of higher frequency. Nothing to do with the alleged ability of CO2 to heat a planet. Basic physics. Half of an explanation of a supposed effect is pointless. Wouldn’t you agree? There is no falsifiable hypothesis explaining the supposed heating abilities of CO2, for good reason. CO2 heats nothing. The GHE does not exist. I’m sure you’ve searched high and low. I haven’t bothered searching for something that doesn’t exist. I will allow you to keep trying. Still no GHE. CO2 heats nothing. You have been corrected on this multiple times now. Clearly you are actively ignoring that information. In cold conditions, I wear clothes to reduce the rate of heat loss. Sorry you missed the hypothesis, I will repeat. “They can excite vibrations in molecules.” The other half of the greenhouse effect being that they can relax the vibrations by emitting radiation. The earth is opaque to infrared radiation. Energy can be expressed as heat. CO2 absorbs and emits radiation. Plenty of falsifiable hypotheses, Popper would be proud. Looks like you have posted a falsifiable hypothesis in your post. CO2 laser causes big balls of fire. I think your hypothesis is busted. Atmospheric CO2 absorbs many frequencies of IR. This IR is primarily upward, away from the surface. CO2 then emits this frequency of IR in a random direction, some of it downward. There is a net change in outgoing energy flux, which is global warming. Basic physics. What is it that you are disagreeng with? You adopt the ever more desperate tactics of deny, diver, confuse. Wrong. The simplest consequence of the enhanced greenhouse effect is warming. Which is observed. Greenhouse theory also predicts stratospheric cooling. (Solar warming predictds the opposite.) Also observed. As I said before, still no falsifiable hypothesis . . .
Keep waffling. Deny, divert, confuse. As for science – well, it is only climatology, isn’t it? At least you managed to attempt 15 hours of journalism. I didn’t get that far, but I had a senior sub-editor of a national daily leave me a note saying “I’m off for a few days – I’ll leave it to you”. Maybe I know more about journalism than you. As to physics, it’s pretty obvious. If you say so, David, if you say so. still no falsifiable hypothesis . . . ? You talk of many. Surely you only need one? Your links provide none, in any case. Maybe you could cut and paste your falsifiable hypothesis, so others can see what I so obviously overlooked. Here’s your chance to call me out, take me down, or whatever nonsensical terms the GHE believers use. Doesn’t it strike you as odd that the Earth has actually cooled for four and a half billion years? Or maybe atmospheric CO2 is a modern invention? Wrong. The simplest consequence of the enhanced greenhouse effect hypothesis is warming. Which is observed. Greenhouse theory also predicts stratospheric cooling. (Solar warming predicts the opposite.) Also observed. I occasionally visit this blog as I have a high regard for whatever Dr Spencer has to say, but I’m a little discouraged at the way the comments go rapidly off track. This thread is a good example. One David Appell comes along with a comment which may be of marginal relevance and may be primarily designed to provoke, but certainly might be discussed properly, and then two or three sceptics pile in with increasingly irrelevant rejoinders and David can’t resist to respond in kind. At the end, nobody is any the wiser. There must be many like me whose enjoyment of this site is destroyed by the reams of garbage that follow. Most of it should be deleted. I’m pretty fed up. The better contributors will not hang around here in the face this stuff. Dr Spencer doesn’t deserve this. How about we try to keep calm, and keep on subject? The Sky-Dragon slayers in other words. Roy has banned ge*an, wi*de and pai*ter. sounds like I might have to go through another round of banishments. I admire Dr. Roy’s restraint in allowing both drivel and anti-drivel to be published in his comments section, I can only assume as a motivator to the silent majority of his readers to do their own web searches and come to their own hopefully rational conclusions. Being a boss, the one about psychopathic bosses attracted me. No doubt it is true. The question is: what is a psychopath? Merriam says in part, that – ‘he’ doesn’t care about other people-. I will say this, it is difficult to be a boss if you care too much about other people. I care a lot, but am able to discipline and fire. There are those who enjoy lording it over others. On the other side, is there a study showing how a large portion of the population doesn’t care to do their work properly or steals (comes in many forms) or are passive aggressive, doing things to hurt the company and others etc. People are not perfect. More exactly – we’re not all alike. It seems natural, to me, that bosses are a bit different than the average person, they have to be. If that is described as psychopathic in some then, I resemble that. Hi Lewis, not all those in prison are psychopaths. Follow that thought across to business. The studies however are very sound. Check out “snakes in suits” — it is not only about “management” functions and dealing with staff. I too was a “boss” and damn well good one both in leadership mngt and other skills. If you’re a psychopath it’s not because you’re a “boss” or an entrepreneur. “a large portion of the population doesnt care to do their work properly or steals (comes in many forms) or are passive aggressive, doing things to hurt the company and others etc.” ? And NOAA has also now posted for September with an anomaly of +0.89C, the second hottest September on record after 2015 & the =11th warmest anomaly in the full record. Thus the remainder of 2016 would have to average above +0.62C to gain the warmest calendar year accolade. NOAA scientists should all be in jail for scientific misconduct. You do realize that the data used by UAH is from NOAA satellites. 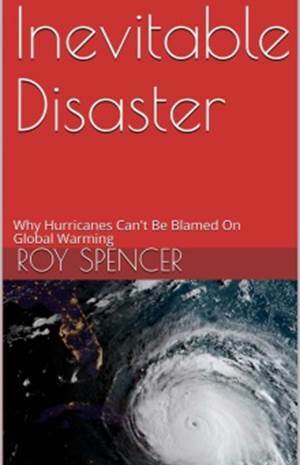 NOAA discarded it and Roy and John of UAH received medals for excellence from NASA and the American Meteorological Society for turning the data into data sets. That’s not the worst part. NOAA recently slashed 5000 reporting surface stations from a global pool of 6500 and applied the data from the remaining 1500 to a climate model. In the model the data is interpolated and homogenized to synthesize the missing 5000 stations. Is it any wonder that NOAA, who reports to the uber-alarmist US Environmental protection Agency, has used climate models with faulty physics to find warming where 2500 reviewers at the IPCC 2012 review found none? NO< it's you Gordon who should be in a secure mental asylum for the term of your natural life. Your own data that you promulgate here every month is undoumented! At least Santer et al passed peer review. Well go and drag some peeps of the street – sit em down with the paper and ask them to review it. Now there’s a sensible alternative. Or we could just ask experts in the field to do it? Like happens in all of science. But of course Climate science is different (rhetorical). David you are in denial and before this decade is out you will have mud on your face for supporting the asinine AGW theory which has no data current or past to back it up. By the end of the decade temperatures will be .5c lower then they are today. Of course I think you will still be in denial even if that results. Currently the Arctic is responsible for almost all of the above average global temperatures which is meaningless as far as trying to show that as a tie in to AGW theory. To take it further I have maintained in order to commence global cooling the Arctic will be on the warm side coinciding with a mostly -AO. This in turn will promote cooler then average temperatures in the lower latitudes which is much more meaningful since the Arctic regions even if above normal are STILL below freezing. Then under that situation is as apparent now the amount of global N.H snow coverage and temperatures at or below freezing will increase which will in time contribute to lower global temperatures. 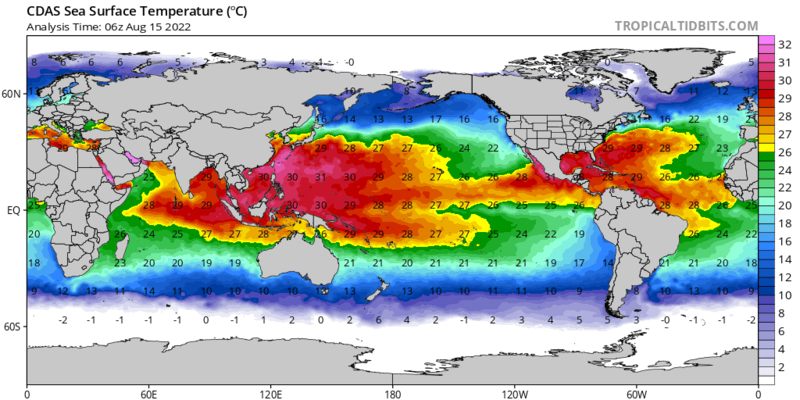 Watch global sea surface temperatures as the sunspot number is now going to stay below 40 which when reached will promote lower sea surface temperatures on a global basis. Not to mention the cosmic ray count now above 6500 which should contribute to more global cloud coverage and to make this even more significant the earth’s magnetic field is in a steady decline. 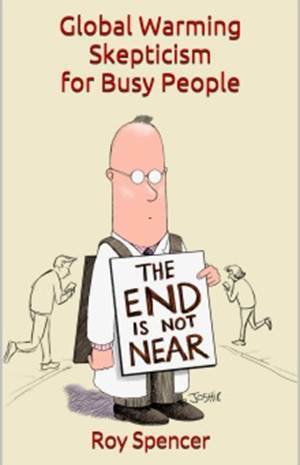 COR LOL – HAVE FUN PROMOTING AGW THEORY GIVEN ALL OF THE REALITIES I HAVE JUST PONTED OUT. David before you say I am wrong you always fail to mention that I called for global cooling based on specific low average solar parameter values which would have to be attained first following several years of below normal solar activity in general. This is now apparently taking place with the sun with the only parameters still high being the solar wind and AP index which are due to coronal hole activity which will in time decline significantly and when this happens lookout below. I have unlike you, the historical climatic data record to lend support to what I say. are you a LIAR or a PSYCHOTIC? It’s true. Patches of the Arctic are up to 5C above the global average. 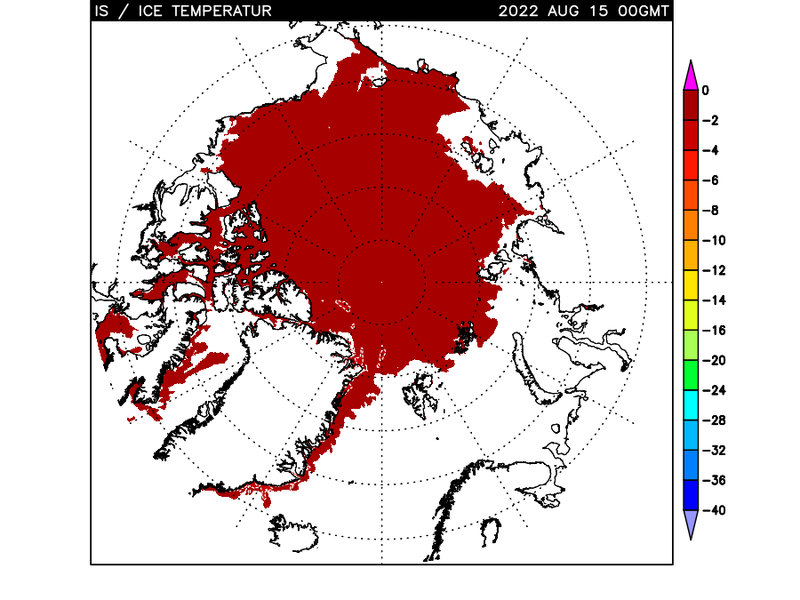 Look at all the hotspots above the Arctic. I am not even bothered to provide the correct facts – I do not suffer fools gladly – my time and the pixels on the screen would be a total waste of effort – seeds upon rocky ground and all that. How do you live with yourself, then ??? Over the bottom of south America, and the MAIN one over the Kara Sea and northern Russia. It seems that REAL DATA is your ENEMA yet again. Gordon is CORRECT and you, as usual, are WRONG !!! You really are having very bad couple of weeks aren’t you little child-minded twerp. The thing is, that as ren and I predicted, that Arctic warm patch is now starting to rapidly subside, and the growth of Arctic sea ice will accelerate anew. Kara sea ice area should start climbing fast in the next few days. At least we have a prediction we can cut and paste to the wall. To compare to Hansen’s predictions from 1980. I would bet Hansen will be closer. But then nobody posts a daily global temperature. “There is no such Goldilocks layer. ..That can determine out right the accurate rate of warming or act as some refutation of the rate of warming implied by model or by the majority of climate scientists globally who derive this rate from the known laws of physics. We are referring to CO2 gases increasing in the atmosphere and the global warming effect)… The reason is that part of the stratospheric cooling has been due to the impact of CFCs destroying ozone. When manufacture of CFCs was restricted, a regime in which both increasing CO2 and increasing CFCs combined to cool the stratosphere was replaced by one in which decreasing CFCs warmed the stratosphere while increasing CO2 cooled it slightly more. That means the stratospheric trends vary significantly over time, while the Troposphere trends are more or less constant. From that in turn it follows that the Goldilocks layer in one time period is not the Goldilocks layer in the second. In the moderately near future we will have a third regime of near constant O3 (due to the lack of CFCs) coupled with increasing CO2. from Sceptical Science – Comments. Yes I am a sceptic of John Christy’s remarks. Very few you know about the stratosphere. 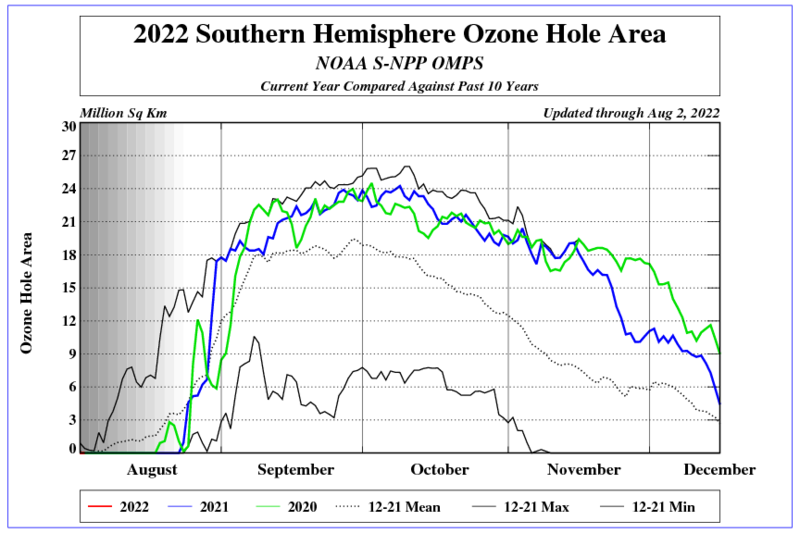 See geomagnetic activity in 2015 and growth of the ozone hole. And now compare the level of UV radiation in the cycle of 22, 23 and 24. No. Not one bit. It’s extremely logical that it has from 4.5 billion years ago. What has that got to do with AGW/CC? Absolutely nothing. Which is precisely why stupid bent out of shape idiots like you bring it up. Climate change: that human influence has not changed Earth’s climate. Given that the null hypothesis has been rejected it now falls to those who would wish to deny the evidence for global warming or evolution to present their counterarguments. The burden of proof is on them. The prior alternative hypothesis becomes the next default null hypothesis. confused…”Evolution: that species are not changed by natural selection to fit an ecological niche”. What is natural selection? Has it been subjected to the scientific method the past 4 billion years? Has anyone witnessed it in action? Please don’t pass off genetics as evolution. The truth is, no one has a clue what has developed since the Earth was formed, if it ever was formed. I mean, how to you form an essentially spheroid body the size of the Earth and why are all the planets of a spheroid shape? The basis of evolution, abiogenesis, is equally strange, not to mention that fact that not a single fossil has been found to corroborate an evolution of species. The notion that 5 basic elements, nitrogen, oxygen, carbon, phosphorus and hydrogen formed together via covalent bonding to produce living matter is not supported by chemistry. And there is nothing in the theory to explain how one species could evolve into another. Elements can form all sorts of weird and wonderful shapes due to various bonding influences but the theory of bonding is fairly well understood. There is absolutely nothing in the theory to explain how DNA was formed with codes that are read by RNA to form amino acids, then proteins. We derive two principal components (PCs) of temporal magnetic field variations over the solar cycles 21-24 from full disk magnetograms covering about 39% of data variance, with λ=-0.67. These PCs are attributed to two main magnetic waves travelling from the opposite hemispheres with close frequencies and increasing phase shift. Using symbolic regeression analysis we also derive mathematical formulae for these waves and calculate their summary curve which we show is linked to solar activity index. Extrapolation of the PCs backward for 800 years reveals the two 350-year grand cycles superimposed on 22 year-cycles with the features showing a remarkable resemblance to sunspot activity reported in the past including the Maunder and Dalton minimum. The summary curve calculated for the next millennium predicts further three grand cycles with the closest grand minimum occurring in the forthcoming cycles 26-27 with the two magnetic field waves separating into the opposite hemispheres leading to strongly reduced solar activity. These grand cycle variations are probed by α-ω dynamo model with meridional circulation. Dynamo waves are found generated with close frequencies whose interaction leads to beating effects responsible for the grand cycles (350-400 years) superimposed on a standard 22 year cycle. This approach opens a new era in investigation and confident prediction of solar activity on a millenium timescale. That paper is not about climate science, as confirmed directly to me by the RAS who published the paper. It is worth to wake up in a reality. It’s useful being sane too. Fark you so clever Mike you blow my mind. Not something you would know anything about. You really have deep mental issues, don’t you. REAL DATA confuses the crap out of you.. So that is all we get from you.. stinking CRAP. Let’s see these “unusual anomalies” of the sea surface in the Arctic. Arctic sea ice extent as of 20 October is now at record low levels. Antarctic sea ice extent is now 2 standard deviations below the mean. Try and explain that as “not unusual”. dr no…”Try and explain that as not unusual”. Quoting a study as claiming standard deviations difference does not explain the context in which the claim was made. Were they there, paddling in kayaks among the ice floes with a tape measure? Or did they examine a satellite photo and jump to the conclusion the ice had melted due to anthropogenic warming. Did any of them see it melt…and where it melted? Till someone tracks that ice, watches it melt, and follows it out of the Arctic and into the Atlantic, I have no interest in their propaganda. Mann did a study of Antarctic temperatures since 1950 with an alarmist from Seattle, I think it was Stieg. They claimed warming over 60 years. When the stats were examined it was found that one station had been under 4 feet of snow. Mann et al had interpolated results from the Antarctic panhandle to other parts of Antarctica. Deliberate stupidity and obfuscation or plain laziness. The data is published by the National Snow and Ice Data Center. Google it yourself and then come back to me and repeat your claim that it is propoganda. Nighttime lows will be in the 30s and 40s with gusty wind during the first part of the weekend. When factoring in AccuWeather RealFeel Temperatures, it will feel 40 to 50 degrees colder, coming off the record warmth in many places. RealFeel Temperatures will be 10 to 20 degrees lower than the actual temperature by Saturday night. A dramatic change to colder weather, and in some cases a taste of winter with snow, will take place into this weekend following summerlike conditions in the northeastern United States. Can we have one for eastern australia too please? Best to take the jet stream 700 hPa. Click Earth. Regards. In the lower stratosphere shows the influence of the polar vortex to Australia and the Pacific. The jet stream will come down far north. You say that radiosonde data corroborates the testimony of John Christy.. I just wonder, why dont you use radiosondes properly? Don’t smear them out in TMT or TLT-layers and destroy their ability of vertical resolution. With radiosondes you can also start earlier, so you dont miss the first big temperature rise up from the cool mid seventies. The free troposphere is not warming 3 times faster in the models..
Not even 1.7 times faster..
More likely 1.25 times, as measured by the trend. Thus, observations follow models quite well. 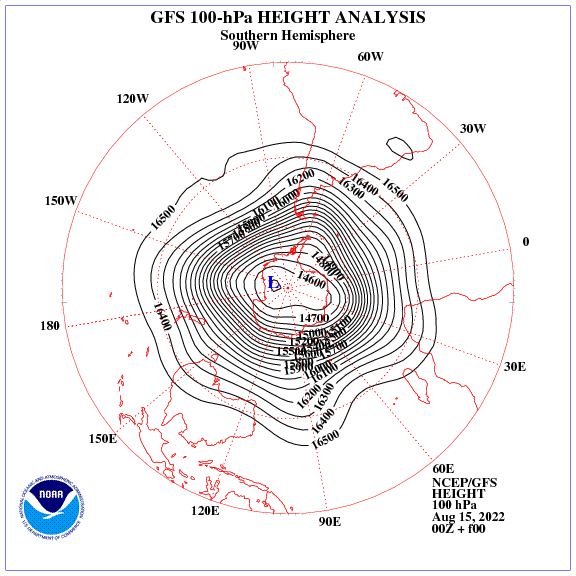 However, the observed stratospheric cooling is much larger than the modelled. Go out and find the reason for that. Is the the increased greenhouse effect larger than expected? Is stratospheric ozone prescription for the models wrong? Have you considered CFC O3 depletion? I’m not sure, but AFAIK ozone depletion and recovery isn’t an emergent variable in climate models. It is more a prescribed scenario, like the RCP:s.
The period choice of 1979-2015 for comparing model/obs is set by the paper that Santer is rebutting, hence Spencer’s (and Santer’s) deferral to it. Yes, but with knowledge of the more long-term changes that radiosonde datasets offer, the period 1979-2015 may appear as an unintentionally cherrypicked period with a lower trend. 1979-2015 is unbalanced, it starts with a warm period including a strong el Nino in 1983, has one strong el nino in the middle, but stops just before the strong el nino in 2016. Including 2016 in the satellite era trends makes a big difference.. When the satellite era becomes 40 years in 2018, it will have an ENSO-wise fair balance.. The trend 1979-2015 was 0.164 C/ decade for RSS TTT v4. Now, with 9 months of 2016 included, the satellite era trend is 0.178. When it comes to cherrypicking, how many of the 102 models used by Christy can match the trend 2012-now of RSS TTT v4,1.135 C/ decade? The period is not freely cherrypicked, it is the period without the pause-making AMSU5 instrument onboard NOAA-15. It’s odd to see UAH6.0 referenced by John Christy in his testimony, right after criticizing Santer et al’s use of a different data set that “has no documentation.” UAH6.0 methods are not yet published. Someone upthread vouched that there is ‘documentation’ for UAH6.0, but it appears as a qualitative description in a post on this site and has no code etc. You can also find ‘documentation’ for NOAAv0.4 satellite record here. This includes links to research papers. Bit of a double standard? As you know, barry, i’m neither a “warmist” nor a fortiori a “coolist”. But here, even when quoting the word, you’re shooting yourself in the foot when you pretend one might find a documentation there. It’s all you want but that. – his even more strange shift from the daily used TLT to the very convenient TMT.